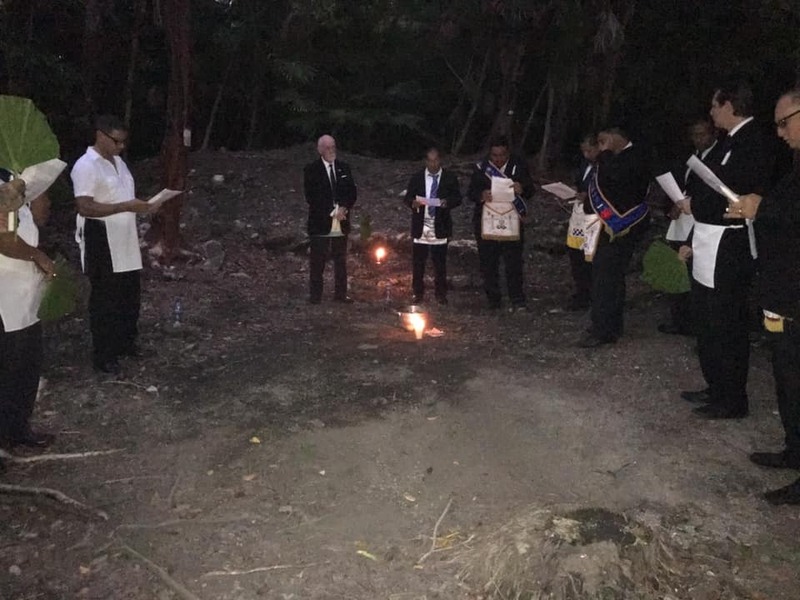 The winter solstice (the longest night of the year) was observed on Ambergris Caye on Saturday, December 22nd by the Ambergris Caye Masonic Lodge #5 at the Marco Gonzalez Archeological Reserve south of San Pedro Town. 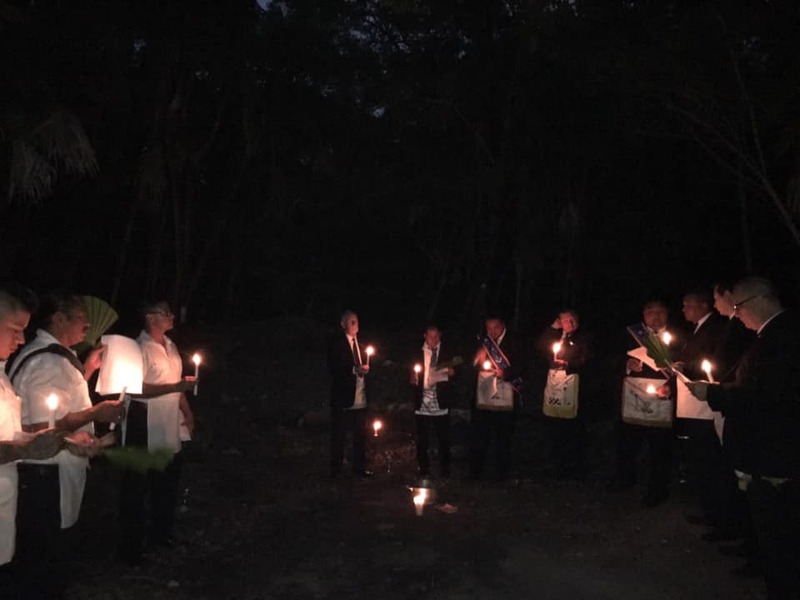 The members of the island’s Masonic Lodge were joined by Chairman of the Board at the Reserve Jan Brown and Most Worshipful Grand Master of Belize Sandro Mena. 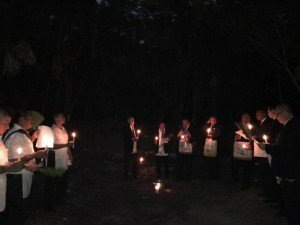 According to The Lodge, the ceremony symbolizes the importance of preserving The Light during the longest night of the year. 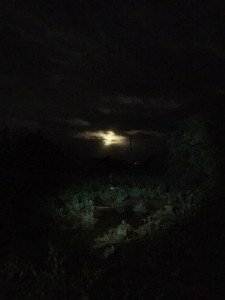 At the end of the ceremony, there was a contribution to the archeological site followed by a banquet held at a separate location. The island’s Masonic Lodge encourage island residents to make arrangements for a guided tour of the reserve with Ms. Brown. The site is considered to be one of the best places on the island to learn how people lived in the area some five thousand years ago. The Ambergris Caye Masonic Lodge thanks all members for coming out to be part of this special event.